Phytotherapy or herbal medicine is the most important therapy within Chinese medicine and is being used increasingly in the West. 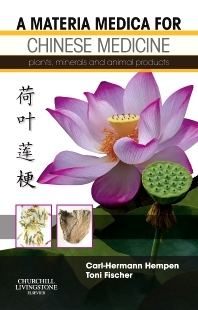 A Materia Medica for Chinese Medicine: plants, minerals and animal products describes 400 of the most important plants, minerals and animal substances used as treatments by Chinese medical practitioners. The items included have been selected according to their degree of clinical relevance. A Materia Medica for Chinese Medicine has been written by two medically trained doctors who have worked as TCM therapists specializing in the use of Chinese herbs for more than 30 years. Based on their many years of teaching and practice, the book has been carefully compiled and designed to provide a concise and accurate practice-based reference for both students and practitioners.